Linux is a UNIX-like open source operating system with hundreds of distinct distributions, including: Fedora, openSUSE, Ubuntu, Debian, Slackware, Gentoo, CentOS, and Arch Linux. Linux is generally associated with web and database servers, but has become popular in many niche industries and applications. 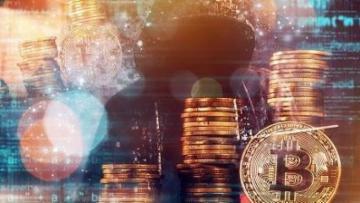 While there were several headline-grabbing ransomware attacks during in 2017, another big threat started appearing at the same time that didn’t get the same coverage – illicit cryptomining. Get a first impression of how PRTG looks and learn how it works. This video is a short introduction to PRTG, as an initial overview or as a quick start for new PRTG users. Great video submission, Kimberley! Congratulations. Your video has been Approved and is now published on Experts Exchange. Feel free to share this video by selecting the social sharing icons. Connecting to an Amazon Linux EC2 Instance from Windows Using PuTTY. Interesting! Nowadays, many widgets available to make people easy to access. Learn how to find files with the shell using the find and locate commands. 1. Use locate to find a needle in a haystack. 2. With locate, check if the file still exists. 3. Use find to get the actual location of the file. Learn several ways to interact with files and get file information from the bash shell.